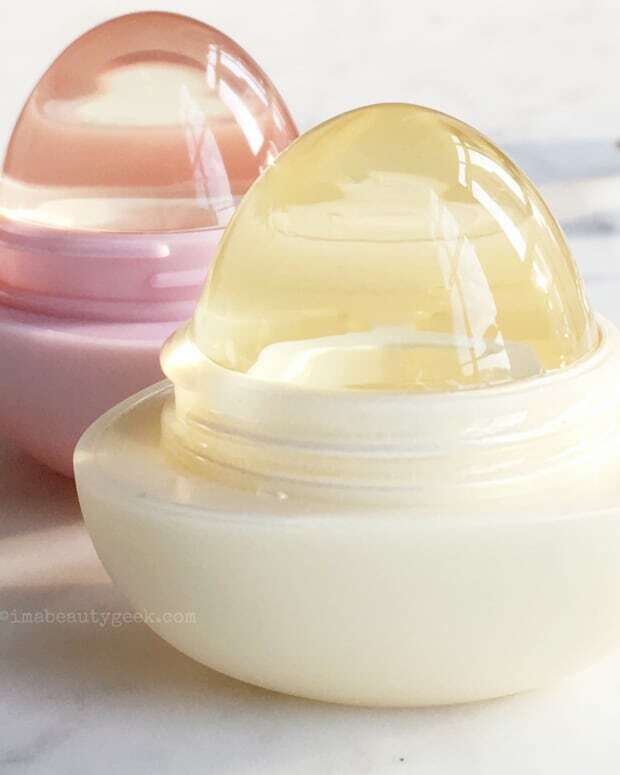 this eos visibly soft lip balm sphere changed my mind! EOS lip balms owe most of their popularity to their unique, playful shape and cheerful array of packaging colours. They look good, whether on your desk, lolling about in your purse, or clutched in the hands of celeb-types in paparazzi snaps. Heck, didn&apos;t Miley Cyrus use them as set decoration for her "We Can&apos;t Stop" video? She signed a bunch as holiday promos, too, right? But I have never liked the actual balm itself. Too waxy. No comfort at all for chapped lips. Zero. Zip. Nada. Blergh. However there&apos;s a new EOS Visibly Soft lip balm in town, dressed in snappy white-striped packaging. And it features a couple of ingredients that have made me rethink my opinion. 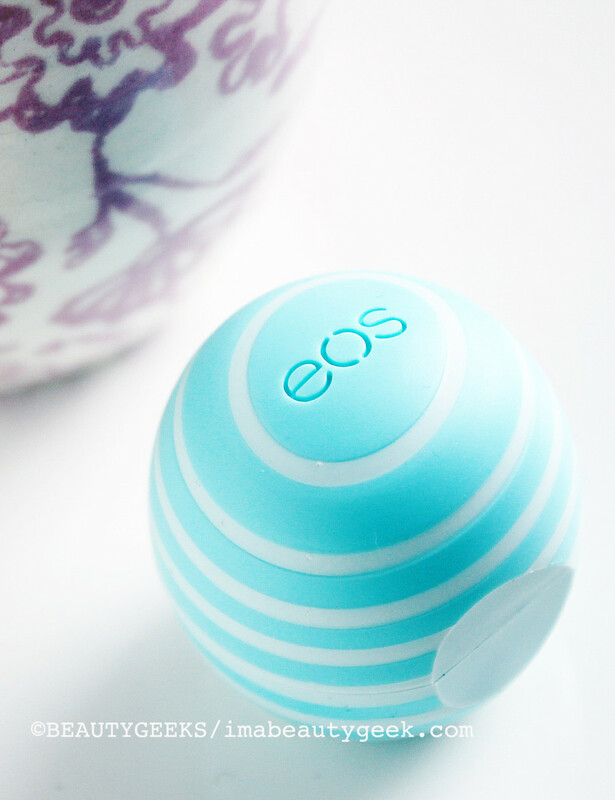 If you&apos;re not an EOS lip sphere fan either, take note: this formula may change your mind too. All EOS balms seem to contain beeswax, vitamin E, shea butter and olive fruit, coconut, jojoba and sunflower seed oils. This EOS Visibly Soft version also contains water and hyaluronic acid, two things we love in stuff for face and lips. You already know hyaluronic acid can hoard up to 1000 times its molecular weight in water, right? 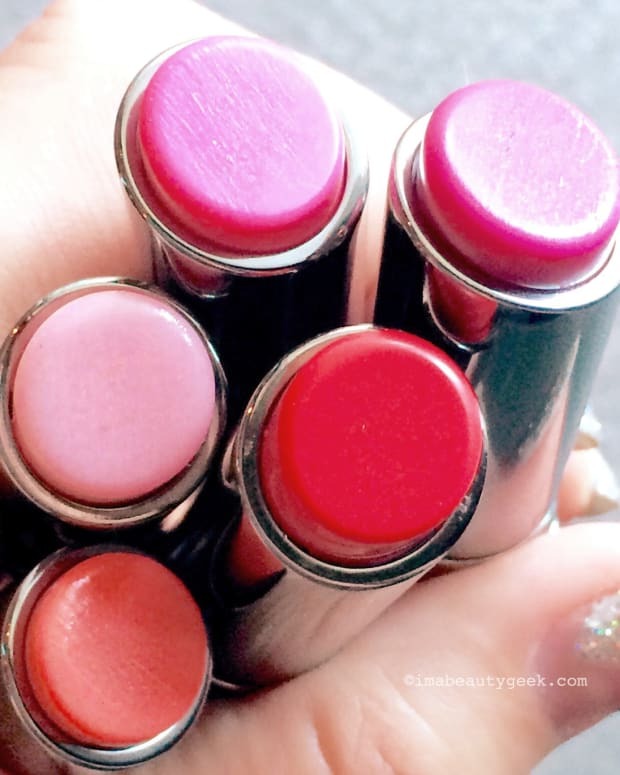 So this EOS Visibly Soft balm can help bind a little extra moisture to your lips. As well, its texture is more emollient, smoother than the other EOS balms. 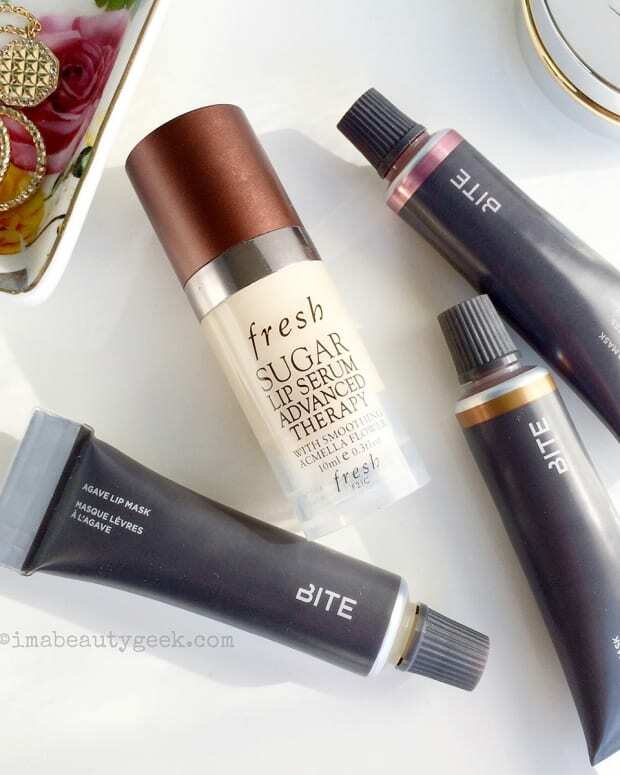 If you have really chapped lips, you&apos;ll need a drop of hydrating serum on lips pre-application -- this is still a solid balm that won&apos;t quite deliver the comfort you need. But it&apos;s definitely more conditioning than its stripe-free counterparts. Mind changed. EOS Visibly Soft lip balm ($3.99 at well.ca and from $2.69 at Target.com) comes in Vanilla Mint (subtle vanilla, thank goodness) and Coconut Milk (pink-and-white stripes).